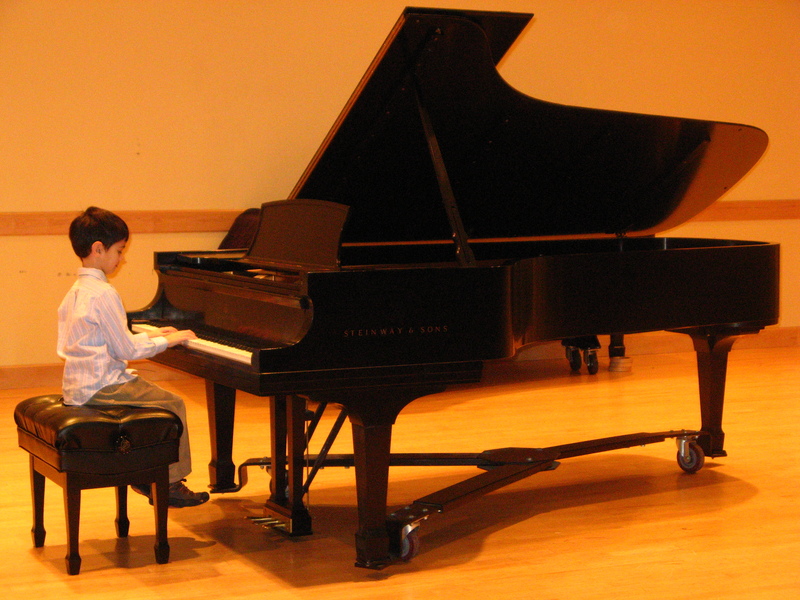 This is my 7 year old son, Luca, who has been studying piano for three years. He LOVES playing piano. Practicing? Not so much. A few days ago I learned about the Pomodoro Technique from Angela Beeching and Alexis Del Palazzo, and to them both I am eternally grateful. I love the idea that this was designed by an Italian (who are not always known for being punctual). I spent eight years living in Italy, with eight years of eating. Eating and everything about food pretty much dominates much of Italian living, and I came to love kitchen timers that are in all shapes and sizes, in various fruits and vegetables, that keep the food churning out in every Italian home. 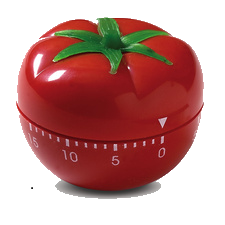 The Pomodoro Technique takes its name from one of those timers, in this case, ones that are shaped like tomatoes (Pomodoro is Italian for tomato). So of course the Pomodoro Technique immediately appealed to me. I now organize my practice time around Pomodoros. One Pomodoro for tone, 25 minutes. A short break of 5 minutes. Back to Pomodoro number 2 for technique work. A short break of 5 minutes. And so forth. I aim for 4 Pomodoros each day as a minimum, and it seems to be working…not only as a way for me to be productive, but it really does help me to feel less stressed and more goal oriented. So I decided to try using the PT on Luca. Luca was born in Rome, and he knows all about timers and the good food that can result when they ring. I thought that subconsciously it had to appeal to him. I said to him, “Luca, let’s set this Pomodoro timer for 25 minutes and see what we can get done from our piano assignments for the week.” We worked on scales, and then he checked the timer: “wow 5 minutes already passed! We have to be sure to keep working!” I couldn’t believe what I was hearing. Then we started practicing his latest piece, Schumann’s Wild Horseman, and he was actually taking my advice and suggestions, repeating things as needed, thinking lighter, bringing out the melody, playing the accompanying chords lighter. Then we checked the timer, “Mommy we are doing great, only ten minutes more, what else can we do?” Oh bless you, Pomodoro Technique creator from Italy! The thing that seems to make sense for him, and for me as well, is that there is a sense that the practice is going to end. And that’s really what everyone wants, let’s be honest. For Luca, he saw the end in sight, plus a reward of a short break. We now work on two Pomodoros each day, with one short break. And practicing has become much more enjoyable at our home, like eating a delicious dish of freshly made pasta. Great article! Thank you Laura! Pomodoro technique is good but a little boring. Thanks for the tip! I’m downloading it right now and I’ll report back on it! I can see that Pomodrium may be of more interest to older kids and adults, but for right now Luca is hooked on the Pomodoro technique. Just today he initiated practice by saying, “ok I’m ready to do one Pomodoro” which are golden words for us since practice has sometimes been a challenge. Another important part is coming up together with clear, attainable goals in the 25 minutes, and Luca and I do this before we get going. He feels more in control of the time sitting and he sees that we are being efficient too, because his pieces keep improving. I’m happier too because he seems to be enjoying practice much, much more. Better for all of us! Does the ticking of the timer interfere with the metronome you may be using? I understand that the ticking of the timer is part of it but it seems to me that it would be really distracting while using a metronome.